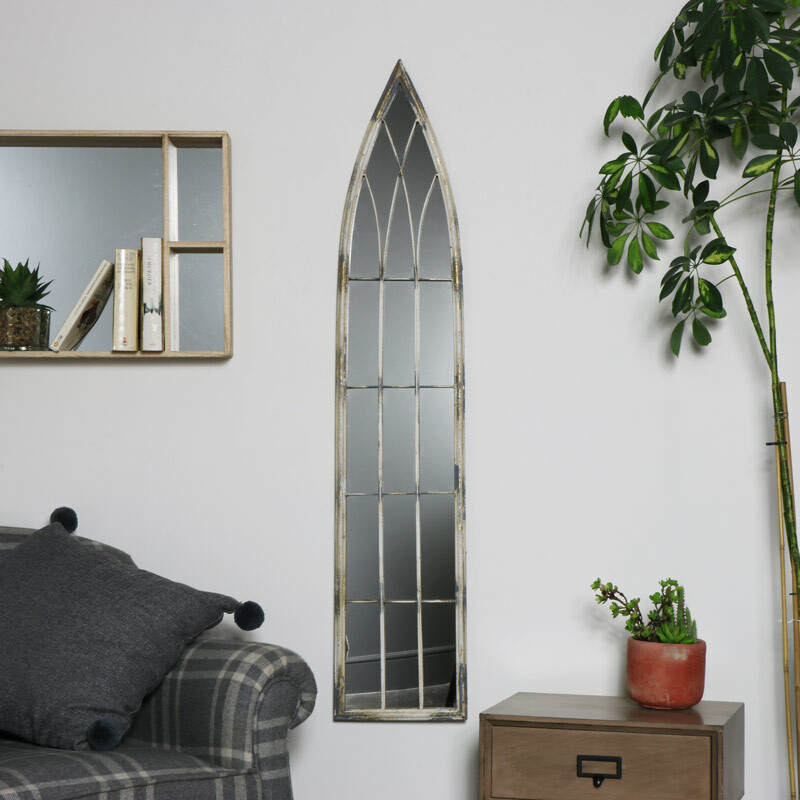 Give your bedroom or living room a feeling of space and light with this beautiful, wall mounted, antique white arched mirror. 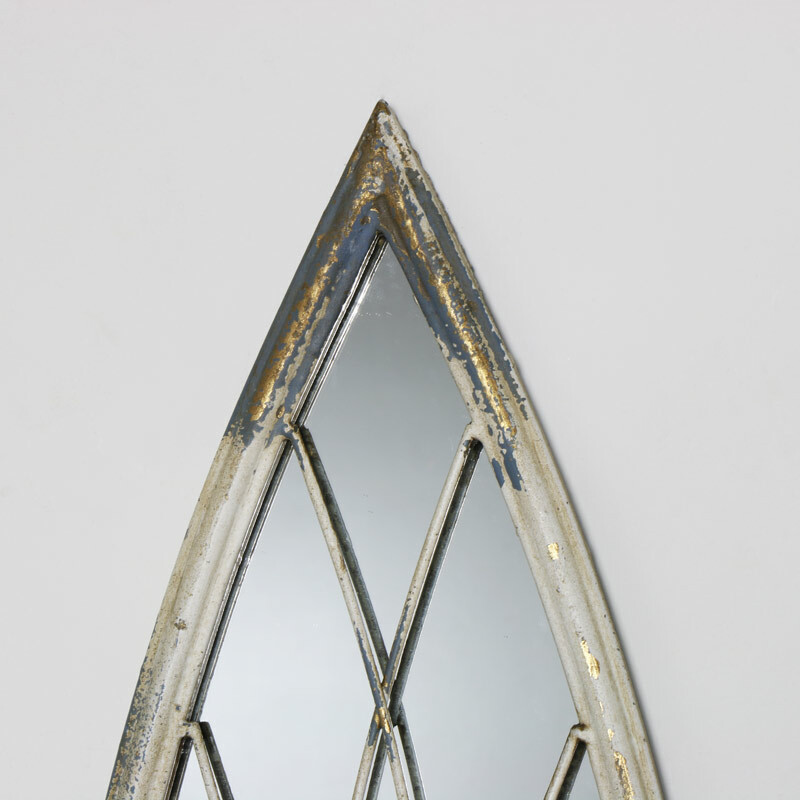 Resembling a distressed Gothic church window with its arched top, slim design and rustic white colouring this mirror is perfect for any shabby chic or industrial style interior. 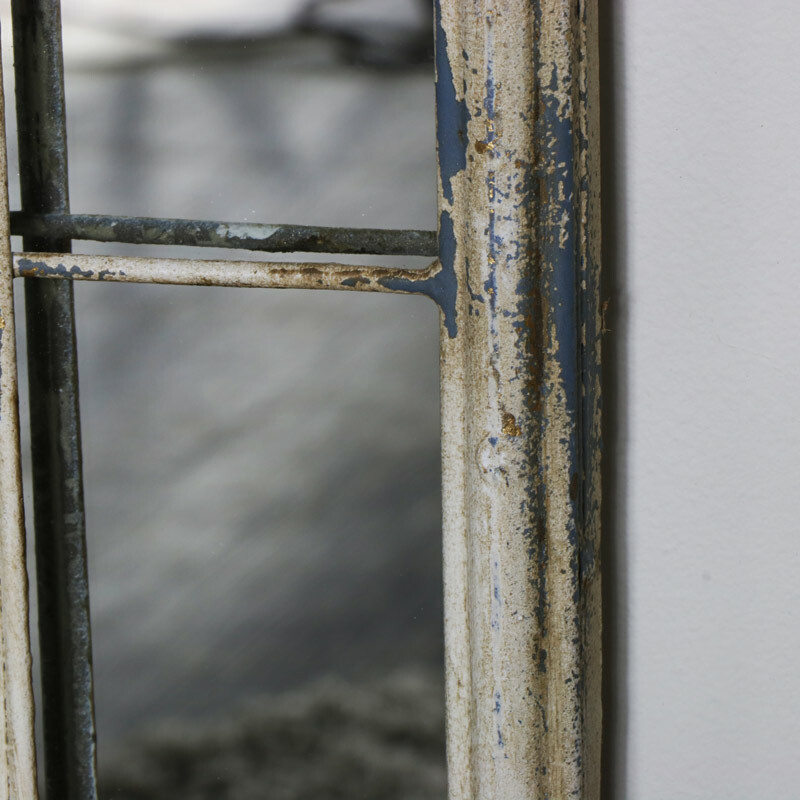 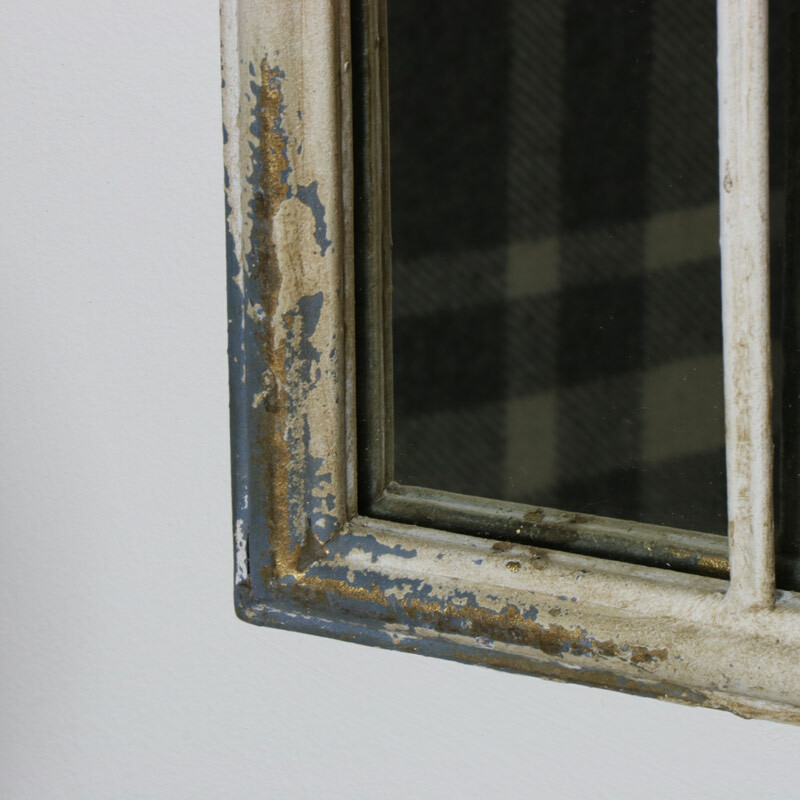 The metal frame complements the rustic look making it a must have in your home!